A veritable cornucopia of televisual delights awaits with the latest instalment of Upod. So where to start? Well, to be honest there’s so much going on with brand new shows, season-old shows, established favourites and unusual erm, side-shows that I’ll give a simple rundown; but it almost seems unfair. Given the frankly disappointing autumn debut of Pan-Am, it was a delight to get stuck into Alcatraz this year. With many misgivings, mainly surrounding the similarities to Lost and JJ ABrams’ contribution, the Upod team is happy to love this show. At least for probably 3 seasons; quite how good it will be in season 29 when they’ve caught the 299th prisoner, we can’t say. From this we move to Kevin Smith’s reality TV show (don’t let that put you off folks) Comic Book Men – a fascinating look at a neighbourhood comic store and geekdom all rolled into one. 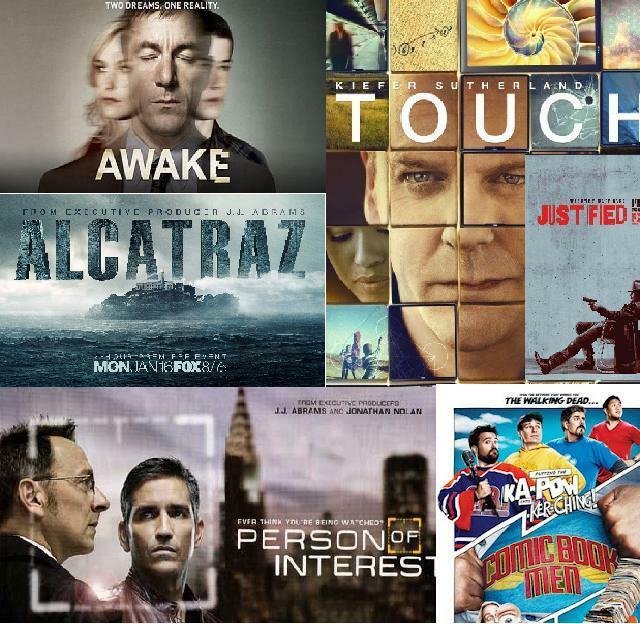 Ever so slightly more ambitious is the new Kiefer Sutherland show, Touch. With a global scale and one of the main characters being a “gifted” kid, it’s just begging to fall over itself a la Heroes, but until it does, we’ll keep tuning in. More conventional, but arguably of more interest, is Person of Interest (PoI). 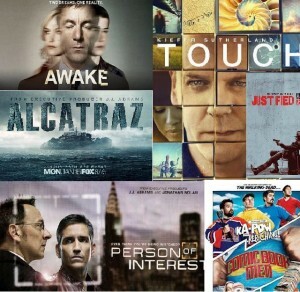 Another JJ Abrams project which is a little bit Minority Report, partly Source Code and soemthing else, PoI was created by the lesser spotted Nolan and gives viewers more from two very talented actors: Jim Caviezel and Michael Emerson. Not content with the head-fuckery of the shows so far, Upod concludes it’s serious programmes by looking at Awake. Starring Jason Isaacs as a confused and grieving-but still effective policeman, Awake places the viewer in 2 realities and then lets the rest fall into place. It is very much worth a look. Thankfully we have the 3rd season of Danny Mcbride’s outstanding Eastbound and Down to bring us back to our senses. Kenny Powers returns to our screens for the final episodes of what must be one of HBO’s boldest shows. The regulars return, having relocated from Mexico and Kenny’s rekindled relationship with April (and baby) gets off to a bad start. So there you have it: Kevin Smith IS reality, Alcatraz probably has an alternate reality, Kiefer Sutherland’s kid wants to change reality, Jonathan Nolan is watching your reality, Jason Isaacs is greedy and wants two realities and Kenny Powers just basically ignores his reality.